Using Apache Web Server's UserDir Directive To Provide Personalized Web Pages: As some of you may know, a good number of Linux distributions are ideal for web servers simply because they are bundled with the best and most excellent free and open-source server and web development software such as MySQL, PHP, Perl, Python and Apache. 1. Give users a default place to setup their own web pages. 2. Easily manage configuration for all users. 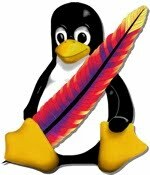 The instructions here assumes you already have installed Apache on your preferred Linux distro and know your way around its configuration files. Also, this tutorial assumes that you are familiar with navigating around the file system. I am doing this on a GNU/Linux Debian Unstable distribution. 1. Open a terminal window and login as root. 3. 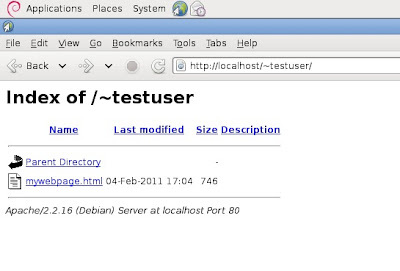 Usually, those commands take care of the default configuration for UserDir Directive. If you want to look at the configuration files, then go here “/etc/apache2/mods-enabled/userdir.load” and here “/etc/apach2/mods-enabled/userdir.conf”. The reference below contains a lot of information about UserDir Directive that includes instructions on customizing it to your preferences. This article was written by Benjamin Canlas for Tech Source.